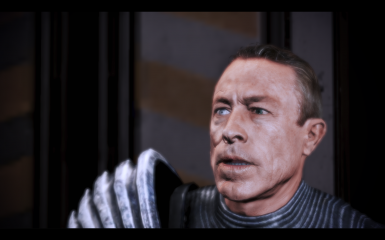 This mod alters the conversation with Zaeed in the Holding area so that all of his dialogue can be heard. Removed opening bit with batarian, since there was no batarian there and it looked weird. Zaeed no longer floats, not even a tiny bit. Restored another line. If you exit the conversation right after Zaeed promises to lend a hand in the war, Shepard says "I'll look out for you", instead of the standard "See you around Zaeed". Repositioned Zaeed so that he no longer moves upward at the end of the conversation. 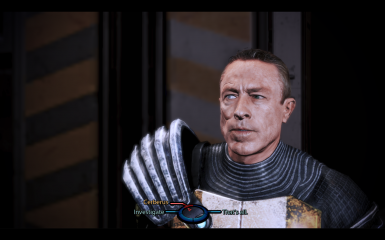 This mod alters the conversation with Zaeed in the Holding area so that all of his dialogue can be heard. It changes it from an ambient conversation to an interactive one, which isn't exactly what the developers intended, but it works pretty well regardless. If you are using ME3Recalibrated, do not download this mod, as it is already included in ME3Recalibrated. ErikJS's DLC Patch dlls need to be installed. Just copy binkw23.dll and binkw32.dll to 'Mass Effect 3\Binaries\Win32'. Replace when asked. If you've installed any other mod that's packaged as DLC, (e.g. BackOff, EGM, MeRecalibrated, the latest MEHEM, etc) then you should already have these. Copy the DLC_EXP_ZAEED folder to your BIOGame DLC folder. That's it! You have me3Deager to thank for this super easy install. Go check out his mods. If you have BackOff, download the version in Optional files that says it's compatible. This mod is included with ME3Recalibrated, so don't download it if you have that.